We were invited as media to attend this event. No additional compensation was received. All opinions are my own. 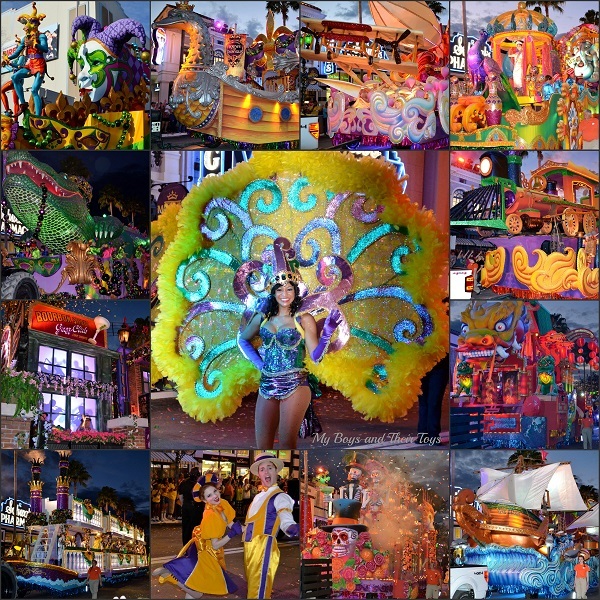 It’s no secret, we love Universal Orlando Resort and their Mardi Gras Celebration is no exception. This “N’awlins”-inspired, family-friendly version of Mardi Gras runs select nights through June 7. Guests can enjoy authentic Cajun cuisine and see performances by bands pulled straight from Bourbon Street. Plus catch traditional beads from the same maker used for New Orleans Mardi Gras event, while enjoying 12 beautifully decorated parade floats. If you have never been to Universal during this event, I highly encourage you to check it out. You will no doubt have a great time! Something new that I learned during our backstage experience is that annual passholders can actually join in on the fun by being selected as that night’s King and Queen! How cool is that?! Upon arriving to the park that day speak with a cast member about the opportunity to be apart of the parade and they will try to accommodate your request. 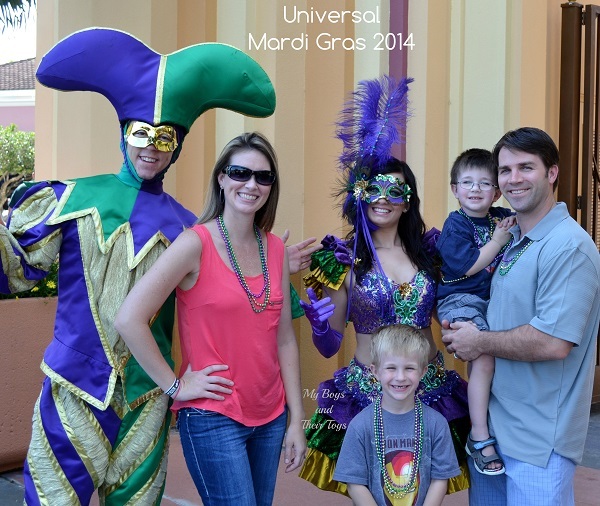 Universal Orlando Mardi Gras Celebration really is for the entire family. Just look at my son’s face. He was SO proud of all the beads he collected. 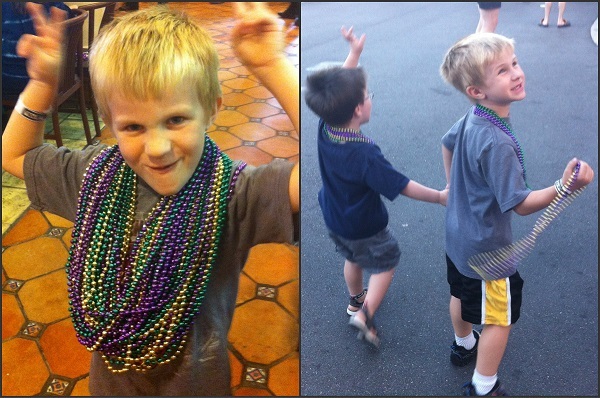 What’s even more awesome is that he walked hand in hand with his little brother and passed out many of their beads to random strangers, who gladly accepted the beads. The boys had an amazing time! 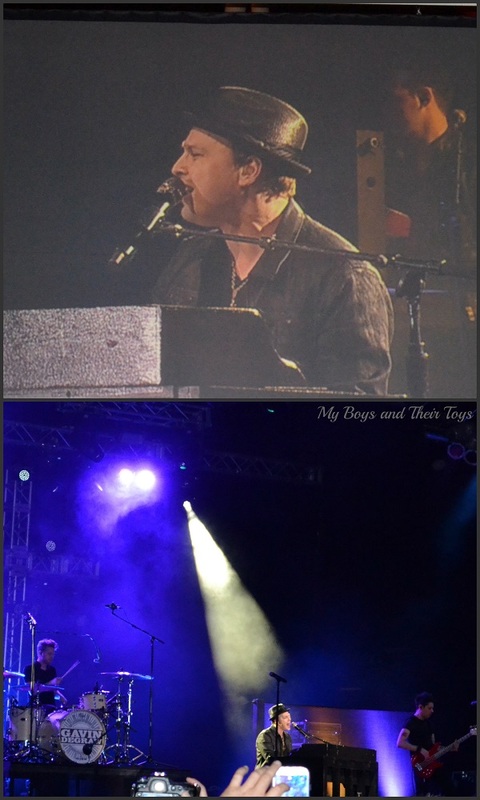 Later that evening we all settled in for the Gavin Degraw concert. Just a warning – you will want to get to the concert location EARLY. Concerts typically begin around 8:30 pm. Gavin sounded fantastic live! He really put on a great show. 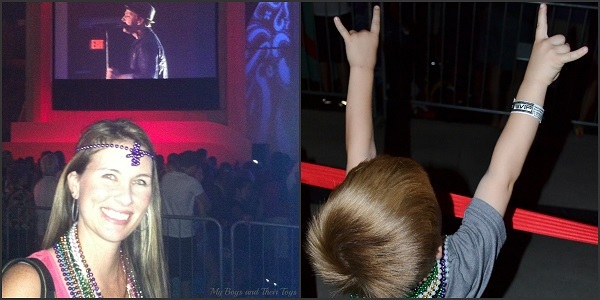 Even my son rocked out while listening to the live concert. Isn’t he hysterical? LOL! So much fun! 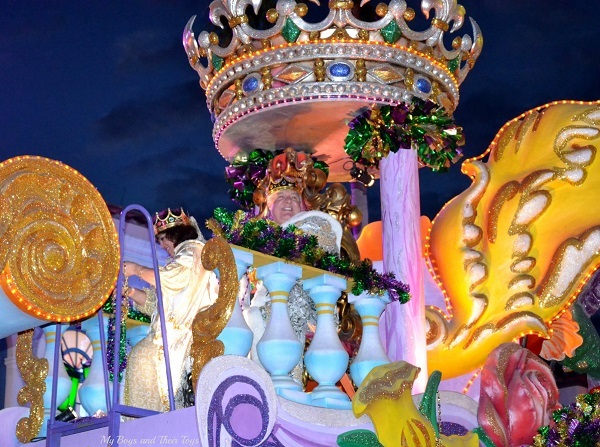 I have only been to universal once, 18 years ago, and there was a mardi gras parade on….I loved grabbing the beaded necklaces as they were thrown from the floats! I love all the colorful necklaces and the Mardi Gras looks like so much fun. What an awesome place to visit during this time of the year, and the music is awesome. I’d love to go just to see the floats! They look so creative and colorful. What a fun time to visit Universal! Looks like you all had a great time! I love all of the vibrant colors!! Wow looks like everyone had a blast! I love all the smiles!! So colorful and fun! I’ve never been to a Mardi Gras celebration, but I hope to one of these years! I love Lynyrd Skynyrd! I grew up listening to them via my big brother.